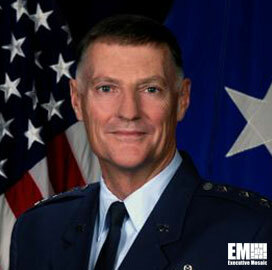 Air Force Lt. Gen. Andrew Busch, vice commander of the U.S. Air Force Materiel Command, has been nominated to the role of Defense Logistics Agency director. Defense Secretary Chuck Hagel announced the nomination Wednesday and appointed Busch as lieutenant general. Busch previously served as commander of the Ogden Air Logistics Center in Hill AFB, Utah. He also held command roles in the 432nd Component Repair Squadron and 432nd Maintenance Squadron, 3rd Equipment Maintenance Squadron, 402nd Maintenance Wing within Warner Robins ALC, Defense Supply Center Richmond and Ogden Air Logistics Center. Busch served as chief of weapons system readiness teams and executive officer of materiel management at the Headquarters Defense Logistics Agency between June 1995 and Jan. 1998. From March 2000 to June 2002, he was the chief of propulsion management and engine production divisions of Oklahoma City ALC. Busch served as deputy director for logistics management and director for workload transfer at the Ogden Air Logistics Center between Jan. 1998 and March 2000 and as deputy director for logistics operations within the Headquarters Air Force Materiel Command’s directorate of logistics and sustainment from June 2002 to Aug. 2005.